Thank you for your continued love and support, Vancouver! We are truly honoured that you've voted us the best for six consecutive years! 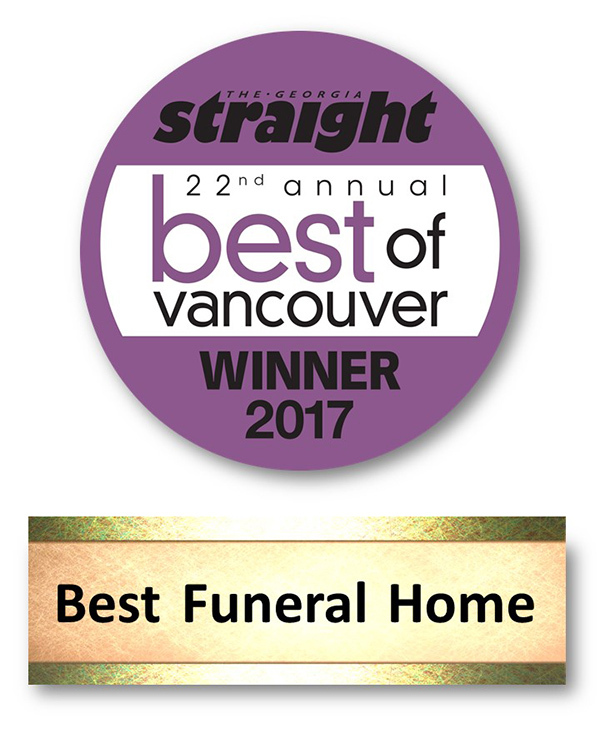 Once again we are honoured to be the people's choice in funeral and cremation services. We love you, too, Vancouver! We cordially thank all of Amherst families, friends, fans and Georgia Straight readers for their votes, support and continued trust in our services. We could not have done this without your support! For the complete list of Best of Vancouver 2017 winners and other categories, please click here. Also check us out on the Winner's Circle, The Best of Vancouver 2017 official guide to the winners.